After issuing an emergency call for blood and platelet donors in early July, the American Red Cross continues to face an emergency blood shortage. Eligible donors of all blood types are urged to give now. 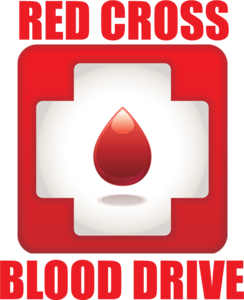 As a special thank you, all those who come to donate blood or platelets July 30 through Aug. 30, 2018 will receive a $5 Amazon.com Gift Card* via email. Colebrook Community Center, 2 School House Road, on Aug. 4 from 7:30 a.m. to 1 p.m.
Litchfield Community Center, 421 Bantam Road, on Aug. 7 from 1 to 6:30 p.m.
New Milford Community Ambulance, 1 Scovill St., on Aug. 15 from 1:30 to 6:30 p.m.
Geer Nursing & Rehabilitation Center, 99 South Canaan Road, on Aug. 6 from 1 to 6 p.m.
St. Peter’s Trinity Church, 160 Main St., on July 28 from 11 a.m. to 4 p.m.
Northwestern Connecticut Community College, Park Place, on Aug. 13 from 12 to 5 p.m.
Woodbury Senior Center, 265 Main St., on Aug. 4 from 7:45 a.m. to 12:45 p.m.